A cartridge is a unit or round of ammunition consisting of a projectile, propellant to thrust the projectile from the gun, a primer to ignite the propellant and a cartridge case to hold it all together. For as long as it has been used, the cartridge has been the heart of all automatic weapons. It is almost invariably designed first and the gun configured around it. This particularly applies to gas- or recoil-operated automatic and semi-automatic weapons because their functioning depends upon the characteristics of the ammunition; not just the size and shape but also the gas pressure and recoil generated. These factors are less significant in externally powered weapons such as chain guns and most rotary cannon, but these form only a minority of the guns in service. 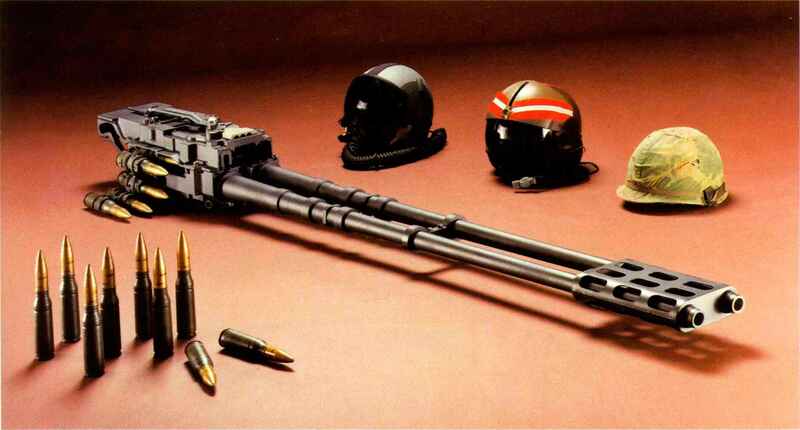 While it is not uncommon for different guns to be designed around the same cartridge, it is therefore rare for a service cannon or HMG (heavy machine gun) to be adapted to fire a new cartridge. 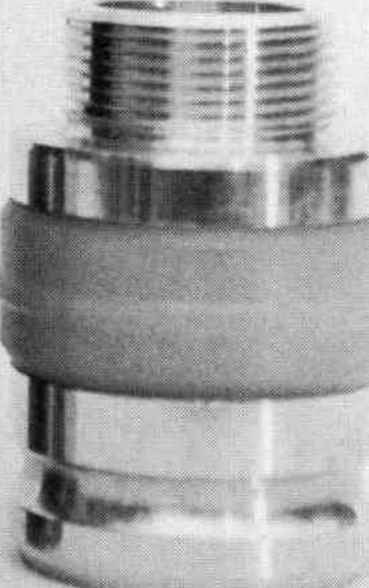 The few exceptions are generally concerned with an alteration to the neck diameter of the cartridge case in order to take a projectile with a different calibre. The best-known example of this is probably the German MG 151 aircraft cannon, which commenced life in the 1930s in 15mm calibre but was increased to 20mm during the Second World War. T II IÏ C A U T R I » ii Ml partly apply to blank cartridges and not at all to projectiles can be quite colourful. drill or dummy rounds, but these types will not be considered here. the gun mechanism reliably. This might not be a nally copper, now a variety of alloys) normally simple matter given that the projectile weights and enclosing a lead core. 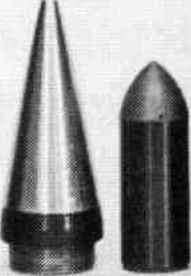 Ball projectiles are not now propellant powders can vary considerably in differ- common in heavy-weapon ammunition as they have ent loadings of any particular cartridge, and this limited effect on the target in comparison with can alter the recoil and pressure characteristics more specialised projectiles. Where they do occur, accordingly. Everything else - the rest of the cartridge and the gun itself - is concerned with ensuring that the projectile hits the target at the desired velocity. The design of the projectile is therefore the most crucial aspect of ammunition design. Projectiles are available in a wide variety of types, even ignoring those intended for practice or drill purposes. Service ammunition can be classified into four broad categories: ball, incendiary (I), high-explosive (HE) and armour-piercing ( AP), any of which may also be equipped with tracers (T) so that the gunner can observe the accuracy of his shooting. Other common designations are SAP (semi-armour-piercing), TP (target practice), SD (self-destruct), APDS (armour-piercing discarding-sabot)and APFSDS (armour-piercing fin-stabilised discarding-sabot). The terms HV (high or hyper velocity) and SV (super velocity) are sometimes used to designate lightweight projectiles (usually AP). Some manufacturers use their own designations for proprietary types of projectiles. The projectile is what the weapon is all about. capabilities. great improvement in the performance of APCR at longer ranges, in terms of both reducing the time of flight to increase hit probability and increasing the impact velocity (and therefore armour penetration), without the practical disadvantages of taper bores. It has accordingly seen widespread post-war use in automatic weapons; in smaller calibres the sleeve is nowadays usually plastic. 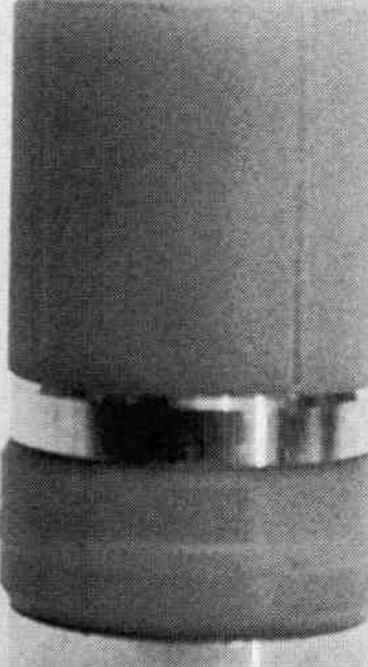 It is not generally used in aircraft weapons because of the potential damage from bits of discarded sabot hitting the aircraft or being sucked into the engines. wSabot diverters" have been designed to try to circumvent this problem, with some success, but they are bulky and heavy.